Today in the paint and painting works in place of the usual brushes and paints increasingly have a modern gunthat is used in the coloring of various surfaces. In order to paint using a spray gunand was uniform and neat, and the paint is spent economically, you need to configure it. 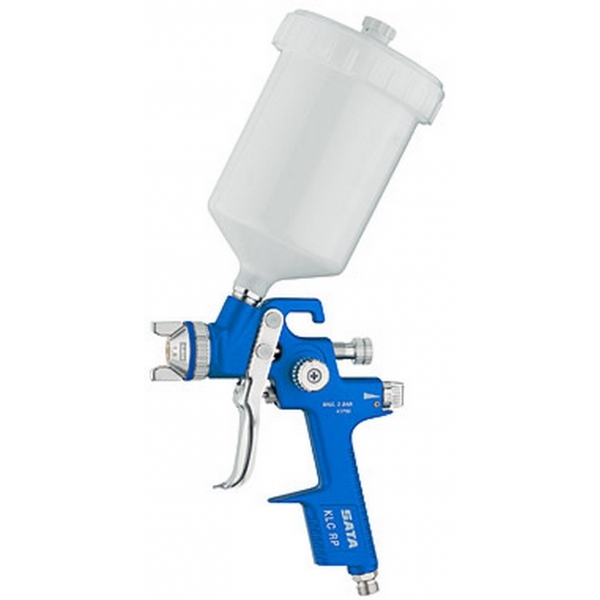 To configure a spray gunand several tests are performed which determine the quality of spraying paint, the correct form of the printout, as well as the evenness of the paint in the flame spray gun. To test the quality of paint spraying take spray gun and in a mode of sputtering, quickly along any wall or surface. If droplets of paint distributed across the painted surface evenly, so the quality of spray paint is in order. Spray the paint at a minimum pressure in order not to lose too much paint in vain. To determine the correct shape of the imprint of the torch, turn on the spray for a few seconds and then go off to explore obtained on the surface of the print. If you notice that the paint is sprayed too much, then the spray gun delivers an excessive amount of material on the wall. The imprint of the torch should be free of irregularities, depressions and visible violations. Balance the ratio of paint and air supplied to the space gunom to adjust the print. Also, be careful that air head of the spray gunand the nozzle is not polluted – pollution can adversely affect the quality of spray paint. Always pay attention to the cleanliness of the nozzle and air head. When setting up the spray gunand make sure nozzle, air head and needle were of equal size and the same type, as well as to match the type of the spray paint. As a surface for the final test use a large sheet of paper pinned vertically and when testing spray install the right air pressure – it is best to set the minimum air pressure. Spray the paint at a minimum distance of 15-20 cm from the sheet. First, do a test spray of the paint in a vertical position, and then expand the air head 90 degrees and re-spray the paint without moving the gun to the side. If everything is adjusted correctly, the spot of paint in horizontal and vertical test will be the same, but the width and height of the spot will match the instructions to the spray gun.